11th grade – Teach. Empower. Transform. 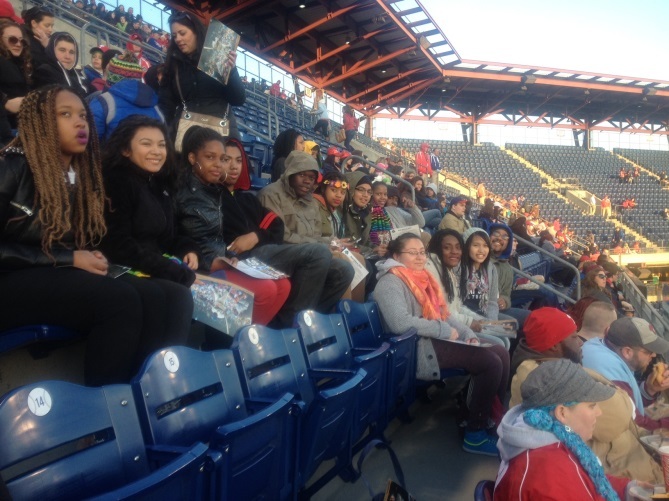 During Spring Break, the 11th Grade Scholars set out on an extensive college tour through Virginia and North Carolina. 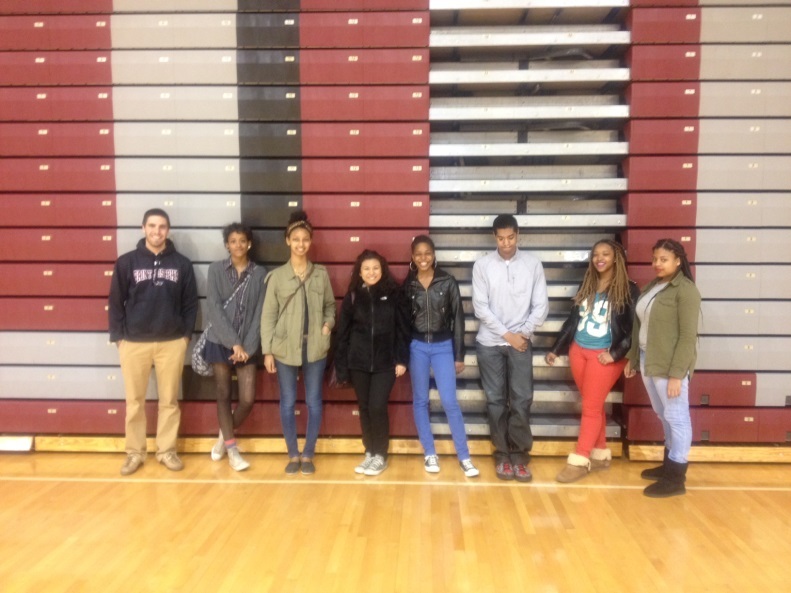 Visiting 10 schools in total, the students gained exposure to many different kinds of college and universities. They visited the urban campus of Virginia Commonwealth University, the closed campus of the University of Richmond, the historically black Virginia State University, and the large, bustling campuses of North Carolina State University and Virginia Tech. 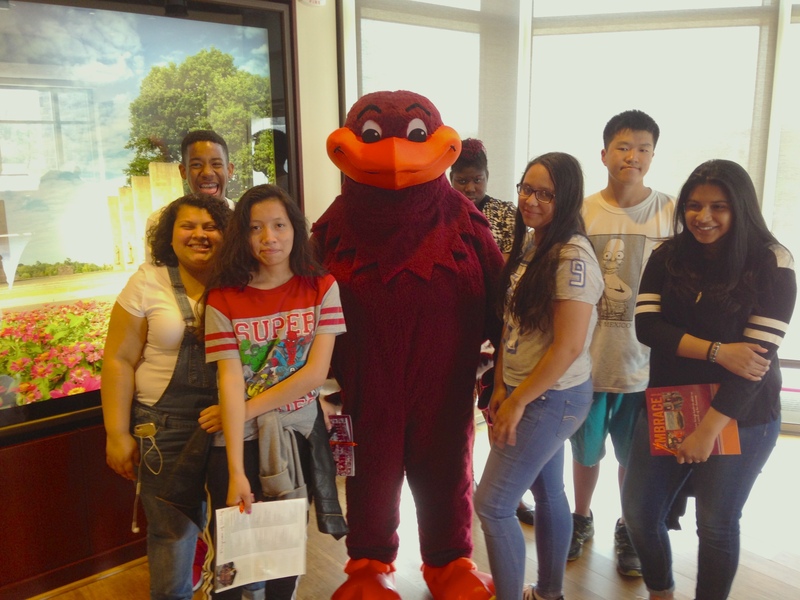 They met up with current Postsecondary Scholars at the University of North Carolina at Greensboro and Radford University, who were able to give the 11th Grade Scholars a first-hand look into the college experience following life in DC. The tour also took students through the campuses of Greensboro College, the University of North Carolina at Chapel Hill, and Duke University. The Scholars enjoyed seeing college campuses in action—students studying, rushing to class, playing in the quad, and eating in the cafeteria. They were able to take a peek inside dorm rooms, libraries, study halls, and classrooms. They were able to walk through the different campuses, getting a sense of what size student body felt most comfortable to them. They were able to enjoy lunches and dinners in conversation with current students, learning more about the available student organizations and quality of food! And perhaps the dinner they most enjoyed was when we surprised Joe, FLOC’s Postsecondary Program Coordinator, with a birthday celebration he won’t soon forget! We only hope he was able to wash that whipped cream off his face . . .
College! More Than Just the SAT. 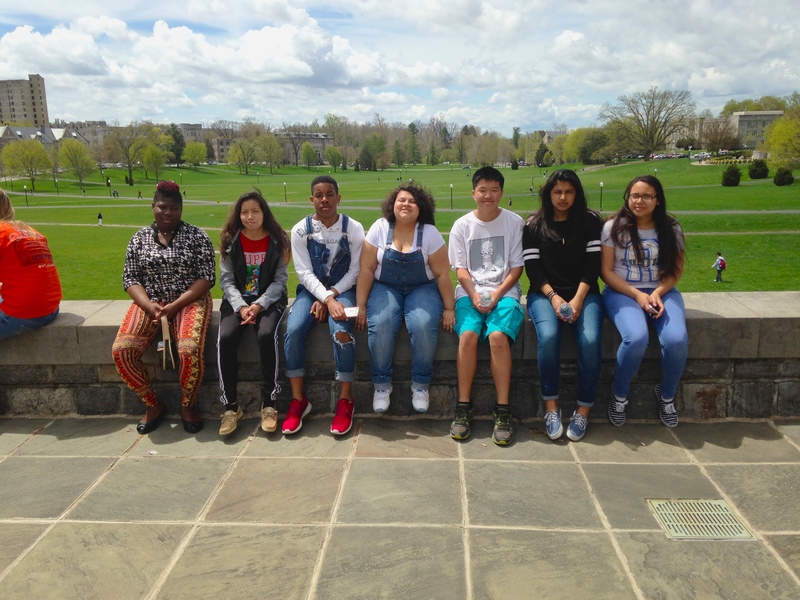 Over the past 4 months, the 11th graders in the Scholars Program have spent an hour and a half of their workshop time in small SAT prep groups. For half of the students, the first six weeks was spent on math while the other reading, and then after winter break, the groups switched to the other subject to better prepare for the SAT test that plays a significant role in the college admissions process. While not the only factor, most colleges see a student’s SAT score as a strong predictor of their post-graduate success. Recent research has shown that SAT scores are not always the best predictor of how gifted a student is academically, but nonetheless it is an integral piece of getting into college. This past Wednesday, all DC Public School students took their first real SAT test at school. This is a great option, because typically students have had to sign up for off-site College Board testing on the weekends, as private and charter school students still have to do. During program that night we had the opportunity to debrief and discuss how the students who took it felt about the seemingly ominous beast known as the SAT. Having spent the past 4 months studying and learning tips and strategies for success, the students came in with a relative confidence regarding their performance and were able to share their experience with the students who haven’t taken it yet. I have been working with three students (Berniece, Bianca, and Nick) for the past 6 weeks, and while our time in SAT prep has been fruitful, I’ve been able to get to know them as people far beyond what colleges will see when they look at their SAT score next year. I have been able to share my own experiences in college at Gonzaga and offer them advice about choosing the right school and how to meet students once they get there. I shared that the place where you meet most of your friends in college is in your freshman dorm. During my freshman year, I lived in an intentional living and learning community that focused on leadership and service, and being with a group of freshman who had a similar calling offered a great place to meet like-minded people who chose to live there for a purpose. This is advice I offered to my students and all kids going into college because it is such an important piece of one’s college experience. Berniece, Bianca, and Nick all have such an excitement for going to college, and the reality is that taking the SAT is one piece of that. Berniece and Bianca both attend Georgetown Visitation Prep for girls and Nick attends W. Wilson High School in Tenleytown. Berniece and Bianca both have a passion for heading south to a warmer climate for college, but I assured them that the climate should not be the reason you choose a college, as I went from hot Arizona to the wintery cold of Spokane, WA, and have no regrets. Nick, an excellent student, has the potential to really attend the college of his choice, and is interested in staying close to home at George Mason University in Virginia. For me, going to college was not a question; it was automatically my next step after attending an all boys prep school in Arizona. 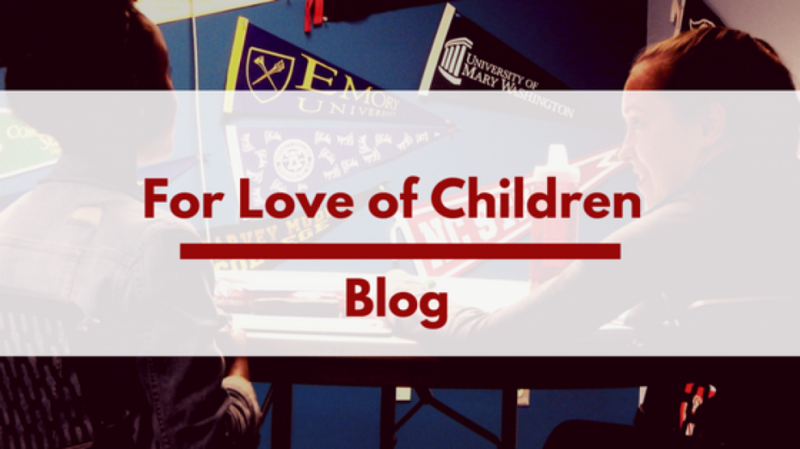 But many of our students at FLOC will be the first in their families to attend university. They did not grow up hearing their parents’ stories of college-life or see themselves naturally getting through college. While preparing the students with all of the logistical steps needed to complete the college application (resume, teacher recommendations, transcripts, and essays) our biggest goal is to allow each student to realize that they’re up to this and perpetuate a reality that they can succeed in college. While the SAT test score plays an integral role in the ability for students to get into college, I’ve found that being able to hear about their personal lives and goals has revealed that what students mostly need is passion… to be excited about their futures… to believe in themselves. 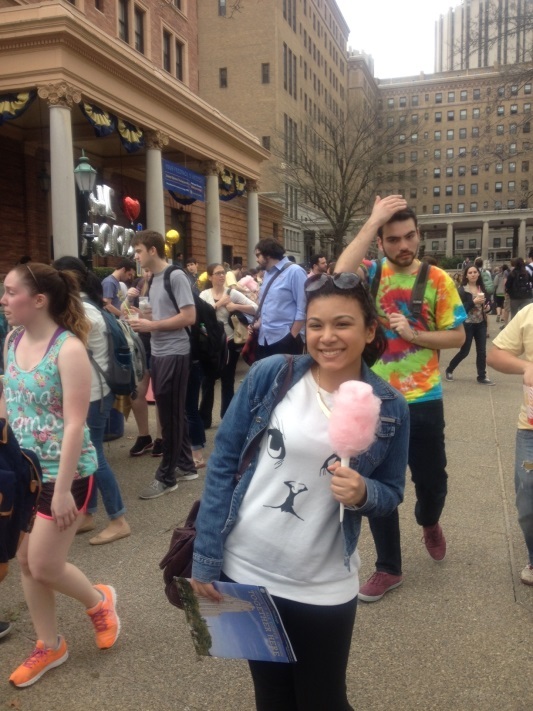 As students move forward in 11th grade, they will continue to focus on the different pieces of the college application, but most of all they are realizing that college is their future and they have the ability to pursue a school where they can be themselves and find their calling in life.